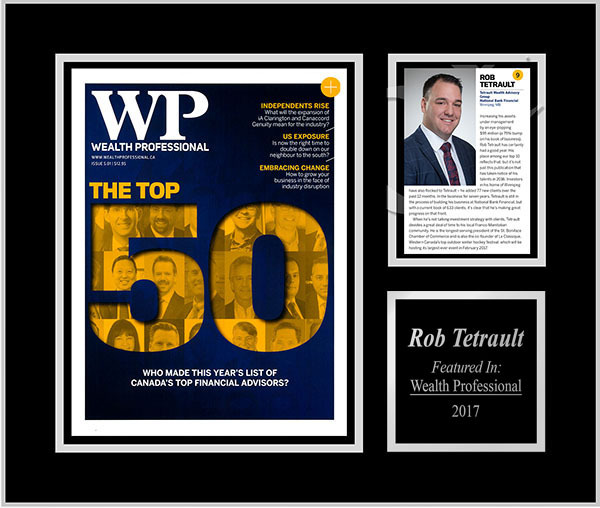 Increasing his assets under management by an eye-popping $95 million (a 75% bump on his book of business), Rob Tétrault has certainly had a good year. His place among our top 10 reflects that, but it’s not just this publication that has taken notice of his talents in 2016. Investors in his home of Winnipeg have also flocked to Tétrault – he added 77 new clients over the past 12 months. In the business for seven years, Tétrault is still in the process of building his business at National Bank Financial, but with a current book of 633 clients, it’s clear that he’s making great progress on that front. When he’s not talking investment strategy with clients, Tétrault devotes a great deal of time to his local Franco-Manitoban community. He is the longest-serving president of the St. Boniface Chamber of Commerce and is also the co-founder of Le Classique, Western Canada’s top outdoor winter hockey festival, which will be hosting its largest-ever event in February 2017.